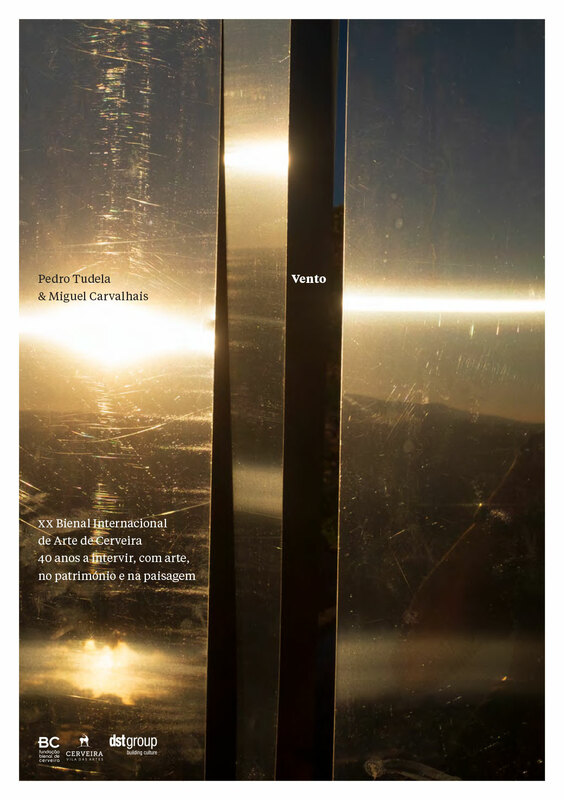 The Artistic Biennial of Cerveira published the booklet “Vento”, with texts by Helena Mendes Pereira, António Cabral Pinto, and Miguel Carvalhais & Pedro Tudela. Anotações Sonoras: Espaço, Pausa, Repetição on Vimeo. 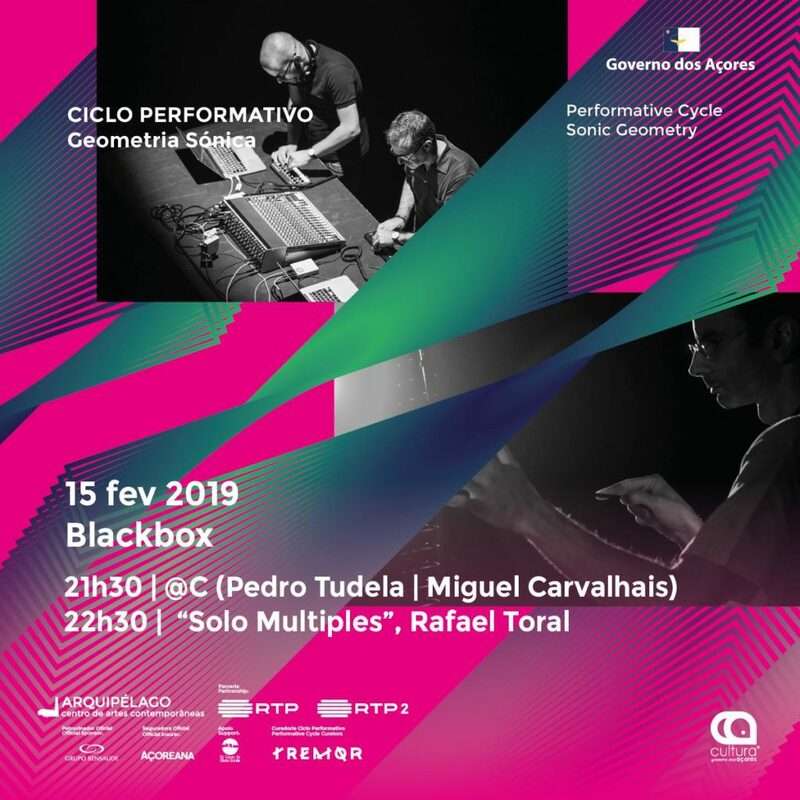 “Anotações Sonoras: Espaço, Pausa, Repetição” was commissioned by oMuseu and Exhibitions – Faculty of Fine Arts, University of Porto, where it was shown from March 24 to June 30 2018. The installation included sound objects by: Alex FX, Alexander Rishaug, André Gonçalves, Andreas Trobollowitsch, Artificial Memory Trace, Arturas Bumšteinas, Attilio Novellino, Carlos Santos, Carlos Zíngaro, Cem Güney, Dan Powell, David Lee Myers, Diana Combo, Durán Vázquez, Emídio Buchinho, Emmanuel Mieville, Enrico Ascoli, Enrico Coniglio, Astrid & Ephraim Wegner, Haarvöl, Freiband, Gintas K, Graeme Truslove, Hugo Paquete, Ifs, James Eck Rippie, Janek Schaefer, Jazznoize, Jim Haynes, Jonathan Uliel Saldanha, Jörg Piringer, Jos Smolders, Lawrence English, Luca Forcucci, Maile Colbert, Marc Behrens, Martijn Tellinga, Mikel R. Nieto, Mise_en_Scene, Monty Adkins, Morten Riis, paL, Ran Slavin, Richard Eigner, Saverio Rosi, Simon Whetham, Sound Meccano, Stephen Vitiello, Sturqen, Tamtam, Tuulikki Bartosik, Ulrich Mitzlaff, Vitor Joaquim, Yiorgis Sakellariou. The wonderful video was shot and directed by Patrícia Viana Almeida. A/B from Miguel Carvalhais on Vimeo. “A/B” was commissioned by Luís Fernandes for the gnration gallery, where it was shown in March-April 2017. @c + João Pais Filipe on Vimeo. 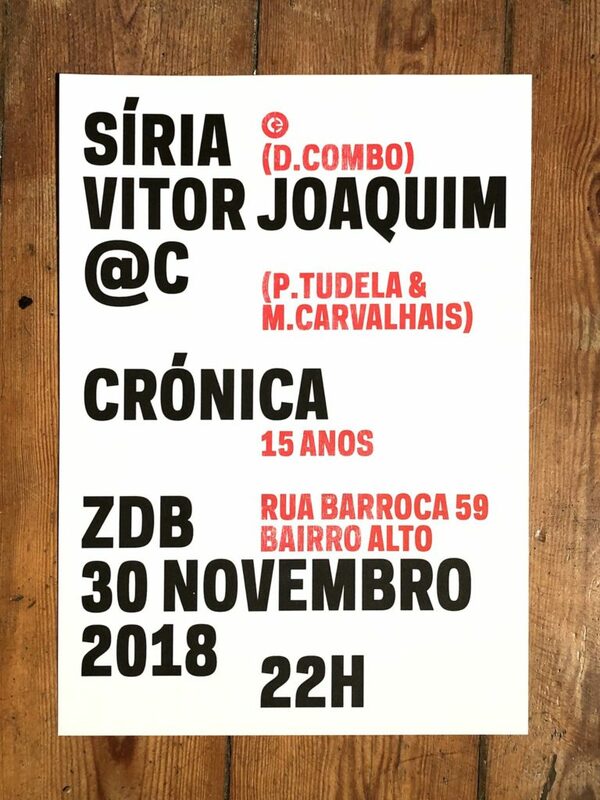 Live at Noite Crónica. September 8, 2018. Maus Hábitos, Porto, late night. Video recording by Rui Manuel Vieira. (Re)Verso/Flexo from Miguel Carvalhais on Vimeo. 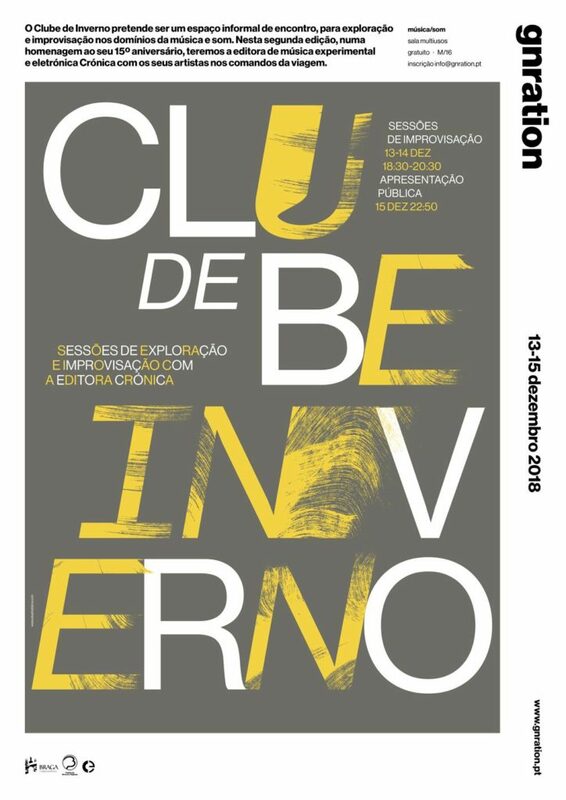 (Re)Verso/Flexo was commissioned by Carlos Veríssimo for Criatek, and presented at Santa Joana Museum in Aveiro, May 2018. 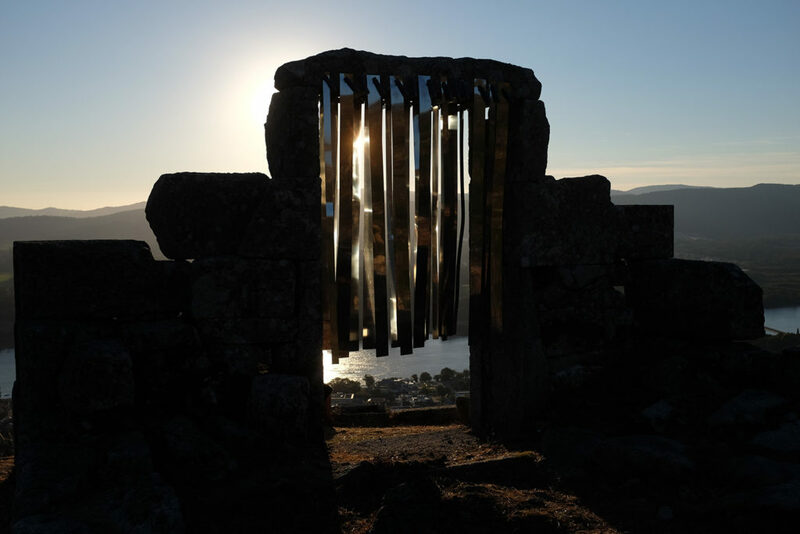 Our new installation Vento, commissioned for the 20th Artistic Biennial of Vila Nova de Cerveira, is showing until September 23.